"It’s not every day you get an opportunity to design and construct a terminal from scratch. What this has meant is that we were able to incorporate and design in the environmental features from day one, which significantly reduces the cost when compared to trying to retrofit solutions." 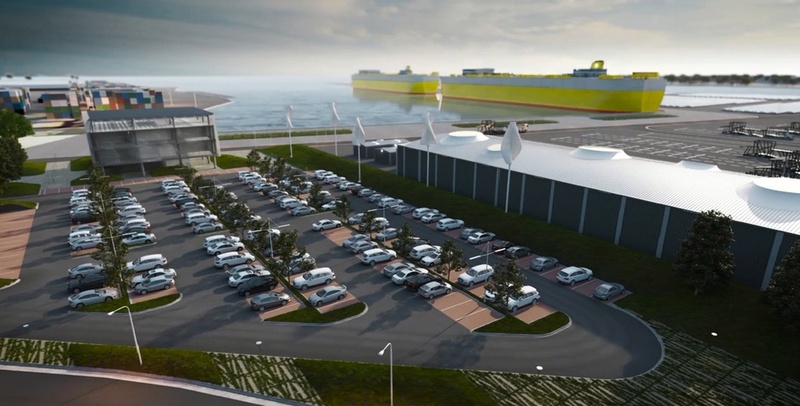 As global car imports roll onto our shores, the Melbourne International RoRo and Automotive Terminal (MIRRAT) has been designed and constructed to meet both environmental and economic challenges. 2016 heralded the end of the road for the Australian car manufacturing industry as the last Ford rolled off production lines. Global imports are rapidly increasing and MIRRAT’s Jed Smith believes bolstering the sustainability credentials of the terminal can improve both its efficiency and carbon footprint. "The setting in which we operate and the commodities that we handle don’t exactly evoke a sense of environmental utopia, so we have taken the opportunity that has been given to us to set an example and hopefully raise the benchmark on how terminals are designed, constructed and operated," Smith said in an interview with Lloyd’s List. MIRRAT was designed and constructed by CPB Contractors, Arcadis, Worley Parsons and PLUS Architectures. Targeting a 5 Star Green Star rating, the project has fulfilled some ambitious sustainability goals. Key green features include 200,000 tonnes of recycled concrete, brick and glass in the terminal's construction, solar panels providing 80 per cent of the administrative building's power and large-scale water-recycling systems. During its lifecycle, the facility will cut down carbon emissions by 13,000 tonnes, reduce its carbon footprint from construction materials by 37% and recycle 97% of construction waste. MIRRAT also uses bio-retention wetland ponds that trap storm water surrounding the terminal using a combination of plants, sand and soil to expel sediment and pollutants from the water before it’s released into the storm water network. The outcome? The facility will save two million litres of potable water annually. Smith says the opportunity to strategically plan and build the terminal is rare, but yields promising outcomes when striving for long-term sustainability. It’s not every day you get an opportunity to design and construct a terminal from scratch. "We were able to incorporate and design in the environmental features from day one, which significantly reduces the cost when compared to trying to retrofit solutions." Smith believes the project will see a return on investment within three to five years. As the number of imported vehicles passing through the terminal is expected to increase from 370,000 in 2013 to one million by 2035, it’s a case of striking while the iron’s hot for MIRRAT.